Text Engine Consulting, Inc. creates elearning and classroom instruction to educate and align your organization. We also specialize in developing green-business videos and training. 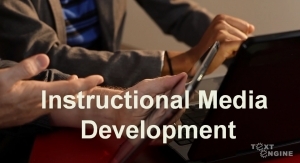 We have many years of experience developing instructional media, including specialized items such as video tutorials, podcasts, and mobile learning. Text Engine Consulting, Inc. brings in strategic partners as required, to assess, design, write, and produce your instructional project.